A pneumatic saw and pipe trolley system that stabilizes the saw for a perfectly square cut on any schedule pipe up to 60” dia. and requires no special operator training is available from ESCO Tool of Holliston, Massachusetts. The Esco APS-438 Air Powered Saw and WrapTrack® System are designed to cut highly alloyed pipe perfectly square by providing a trolley that guides the saw around the circumference without wobbling. 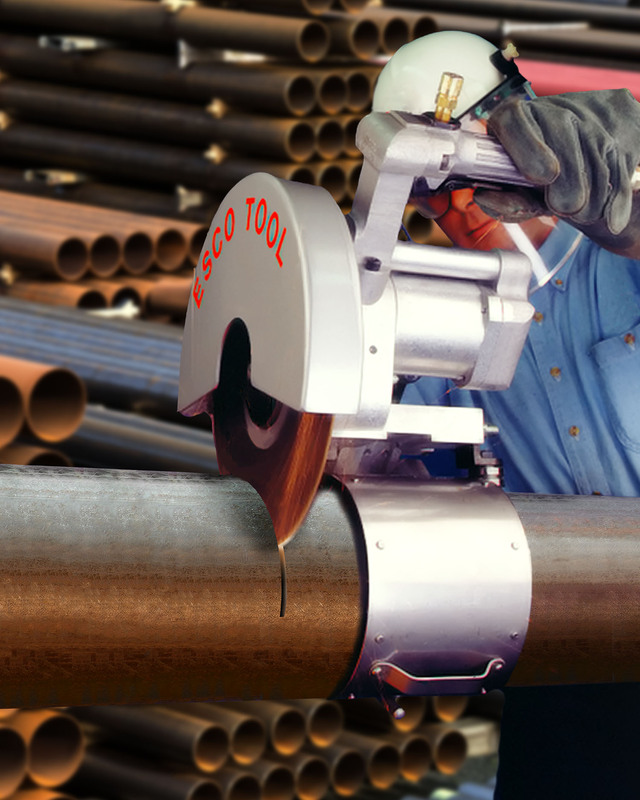 Maintaining the saw blade’s leading edge on the pipe to prevent binding and produce a cut with ± 1/16” accuracy, this saw kit eliminates torched ends and HAZ (heat affect zone). Offered in 28 sizes to fit 6” to 60” pipe including super duplex stainless steel, concrete lined, and ash pipe, the Esco WrapTrack® System has stain-less steel bands that clamp onto the pipe and the APS-438 Air Powered Saw mounts onto a trolley which glides around the bands on 4 V-grooved stainless steel wheels. The 3 HP saw has a 12” blade that can make a 4” deep cut.